Long Island Junk Removal | RemoveItMan, Inc.
Our rip out services will help your business run smoothly. We can do rip outs for any commercial building, construction site, office, and more. Before you put your house on the market, get in touch with us! Don’t put a house up on the market without a proper cleanout and garbage disposal; otherwise, you could be missing out on higher offers or even potential sales. Do you have junk you need removed? Look no further. For any kind of junk or trash removal, you don’t need to look any further than RemoveItMan of Long Island to meet all of your needs. We offer 10% off on jobs over $200! Get in contact with us today to learn more! We remove almost everything… except people. you can count on us to bring you the best service possible. Needless debris is not only distracting, but it’s unattractive and can be a safety hazard for anyone trying to walk through it. Whatever debris and junk removal needs to be done on your Long Island property, trust in us to completely dispose of everything unwanted. All of our jobs are performed with a complete cleanup at the end, so you don’t have to worry about your interior or landscape looking messy. That’s why you should leave it to the junk and garbage removal experts on Long Island. When you’re grieving or dealing with a foreclosure, the last thing you want to deal with is clearing out an estate, especially when it comes to handling a family member’s old possessions. Let the professionals at RemoveItMan handle it for you so you can sell your home faster. For almost 30 years, RemoveItMan has provided our junk removal services to customers all across Long Island. Located in Plainview, NY, we specialize in commercial and residential rip outs, as well as removals. We work hard to meet all of your removal needs. We are fully licensed and insured in Nassau and Suffolk County, as well as OSHA compliant. With an A+ from the Better Business Bureau and affiliation with Angie’s List, you know that you can trust us for any kind of junk removal on Long Island. Our satisfied customers are also evidence enough of the high quality work we do. Because we work for you, we offer free estimates on all of our Long Island junk removal services. If you need Long Island professionals with junk and rubbish removal experience, let us arrive at your site with our own trucks and manpower! We’ll remove everything as soon as possible. Furthermore, we work on all commercial and residential interior cleanout and rip out projects. That’s because when you call, we haul. OUR PROCESS IS QUICK AND SIMPLE. Let us take care of your rip outs! We specialize in removing any kind of debris for homeowners, contractors, subcontractors, landlords, and more. Whether you need interior cleanup jobs or simply trash and junk removal on Long Island, each individual job gets our full attention as well as the white glove treatment. Our professional technicians will make sure the job is carried out to your total satisfaction. Rip outs are the very first step to take when it comes to renovating any home or business. 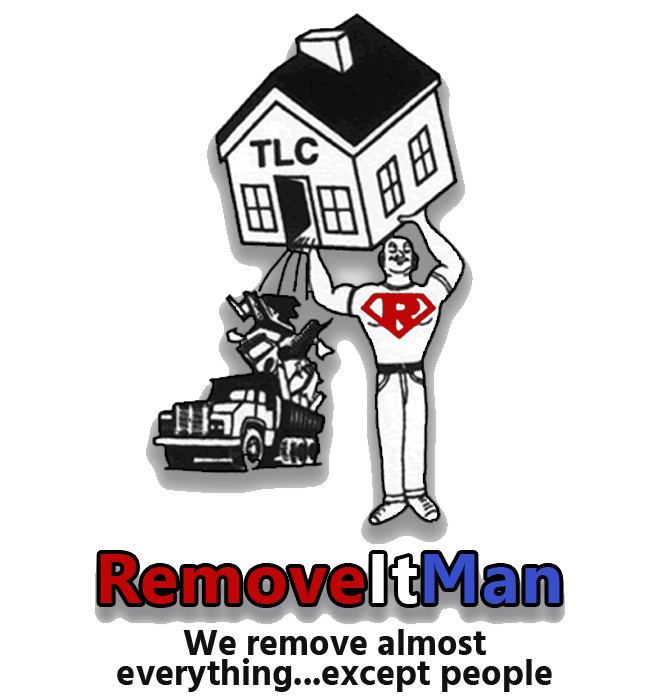 Start your project off the right way with expert junk removal service by RemoveItMan of Long Island. However, even if you’re in the middle of a project, you can still benefit from our services whether you’re a homeowner or contractor.